“Chris possesses the inherent skills and experience to grow business. If ever I'm again running a start-up in the USA, looking to penetrate Europe, I wouldn't hesitate in calling on Chris to make it happen.” Chris Gill, President & CEO, Silicon Valley Association of Start-up Entrepreneurs. “Chris builds relationships. He builds trust with partners and customers and aims to achieve results that benefit all. We successfully worked together in key European accounts and I hope we work together again in the future.” Andrew Poliak, Director of Buinsess Development, Automotive, QNX Software Systems/Harman International. "[Chris] has been a great help to me with some of my business ideas and ventures offering sound advice, ideas and even on occasions getting directly involved as well and is great at brainstorming and for bouncing ideas off of. He is a real people person, caring and has a great sense of humour. He is a great all rounder and a major asset to any business. Highly recommended." Steve Wood, CEO, Scalar Enterprises. 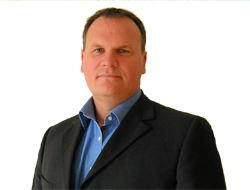 Chris is an innovative marketing professional and strong communicator. Steve Judge, Managing Director, Red Tree Solutions. I found [Chris] to be proactive, entrepreneurial - working with me to successfully break into new markets - and highly respected by customers and colleagues alike.” Woz Ahmed, Director of Business Development, Imagination Technologies.